For once I don't feel like a month has flown by. It feels absolutely ages since I did my January favourites, so naturally I have accumulated another little collection that I have enjoyed using this month. This months favourites will include a mixture of both Mum and baby, and in essence anything that my sons love I will also. (Except paw patrol, I'll never love that) And as I am incorporating a bit more beauty back into Babies and Beauty, there are a few pieces to reflect that. 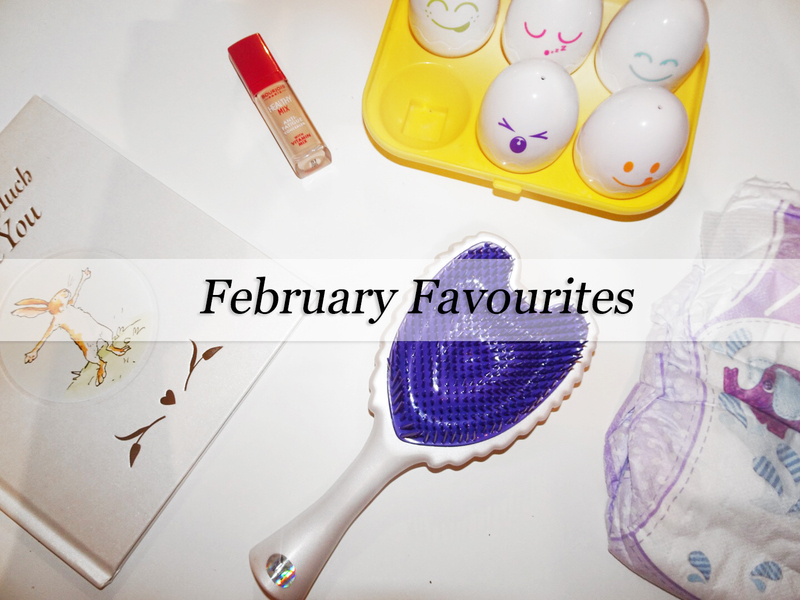 February has been a month of new and exciting faves and some old goodies. Little Angels Nappies - I forgot how good these where because they'd just become such an essential I stopped paying attention. Just last week I skipped past picking them up as I was in a rush in the supermarket, queue mild panic when we got home and noticed we only had 3 nappies left. John did a quick dash to our local village store and unfortunately they only had pampers in stock. Yes really, unfortunately. I initially didn't worry as I've mentioned previously up until November we had used Pampers for the last 3 years. But the first night Patrick was back in them he began to leak around 4am, it lead to a couple of restless nights even when I changed him sneakily at 11pm. I was so relieved when we got our Little Angels back and ended up throwing the rest of the pampers out. They're just so good, leak free and super soft on his skin. Tomy Hide and Squeak Eggs - If you have a child under the age of 5 and don't own these, buy them now. We are in fact purchasing another set for the boys easter basket as they most definitely need one each. John grabbed these for Patrick at Christmas as a nostalgia present because he really enjoyed them as a child himself, and honestly it's the best present they got in terms of being used. Not a day goes by where we don't play with these, if it's not Patrick then Noah has them and there have been a fair few 'Give them back' 'It's his turn' 'Let's share', as they're just so in demand. They squeak, they can be used as shape sorters or colour pairing toys so they tick quite a few boxes. An absolute must. Tangle Angel - If you saw in my last months favourites I was really enjoying the tangle tamer paddle brush. Well I ventured a bit further this month and snapped up a Tangle Angel and the name does say a lot because this brush literally glides through my tangled postpartum shod of hair. I've really suffered with some serious knotting at the nape of my neck and this brush has seen to it no problems. What I am particularly enjoying about the Tangle Angel as opposed to the tamer brush, is that with wet hair this brush seems to work just as efficiently, perhaps the bristles are that bit more sturdy I'm not to sure but I am definitely favouring this hairbrush this month. Guess How Much I Love You - This is SUCH a sweet book. I'd read it before but it had fallen to the back of my mind until I was kindly sent a limited edition copy for Valentines Day. It's just beautiful, from the words to the pictures. Noah has really enjoyed this at bedtimes and as his favourite stories naturally do it's become one that we read every, single, night. I truly don't mind though as it's spreading the love. Bourjois Healthy Mix Concealer - Lets face it that as mums we need some seriously heavy duty concealer. I was always a collection (2000 I mean why did they remove that bit) concealer girl, I love me some high end don't get me wrong but why fix something that isn't broken? Until recently I just found the shades were far too orange for my skin tone when I went to buy a new one, I'm not sure if they've changed the pigmentation slightly or if it was the lighting in boots so I decided to opt for something new. I'd heard good things about Bourjois and as my local store only had highstreet options I decided to try it out. Honestly, it's great, I apply a little (lot) over my foundation and it instantly makes me look as though I have had a full nights sleep. If I look rejuvenated, I feel half human so this will be a firm favourite in my make-up routine for some time. Find out what I was loving last month. I need to buy Eleanor some of those hide and seek eggs. I've heard such good things about them. I am always on the look out for a good concealer so I'll have to try it out in store. We don't have the eggs, but friends do. Isla just puts them straight in her mouth whenever we go round! 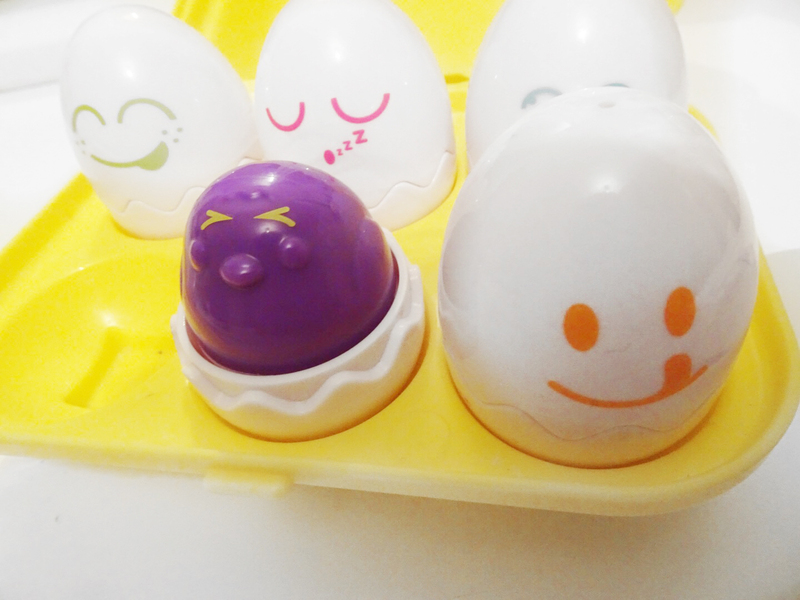 My eldest loved those Hide n squeak eggs! So much fun!!! Im with you on the nappies i have used them for years in the nurseries that i have worked in but on Olivia they always leaked and irritated her eczema. We now use little angels or the tesco loves baby ones. Guess how much i love you is a must have book for little ones in my eyes.